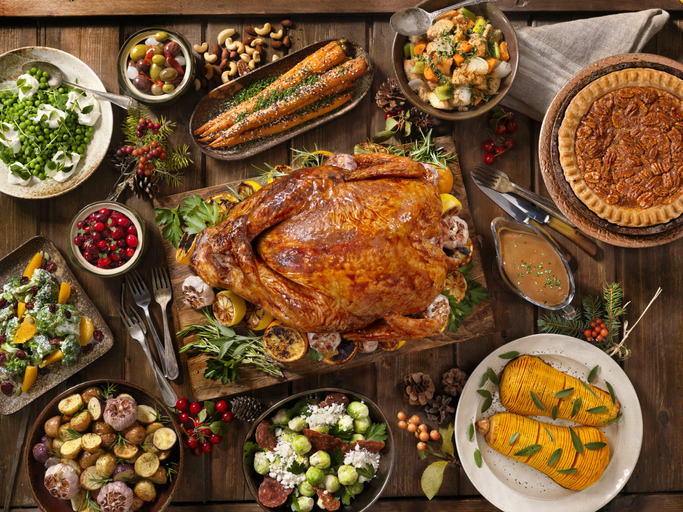 What is the typical holiday meal around your house? Is it different for Thanksgiving, Christmas, and New Year’s? Wow, is it ever EASY to get off track and trigger a gout attack by eating too many of the WRONG foods over the holidays. You’ve probably experienced a post-holiday “gout hangover” already, right? Been there before? Well this holiday season, instead of being REACTIVE, why not join me in being PROACTIVE! Let’s think about what your body actually needs to be gout-free. NO to eating for fun. NO to eating to please relatives. NO to eating to avoid hurting feelings. NO to eating out of boredom. NO to eating because it’s there. Prioritize your health… and happiness. 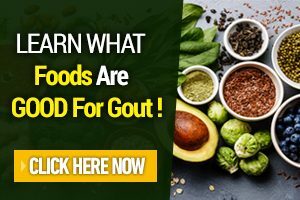 So if you’re really feeling like you’re in the dark about what foods are GOOD for killing your gout, then I invite you to start there. Did you know … our bodies are slowly using their ability to process the macro-nutrient, “protein”? Yup, this is one of the reasons our bodies produce too much uric acid… which triggers gout attacks attacks. And then, further snowballs into our kidney’s having trouble regulating how much uric acid is in our blood. While some uric acid is protective (with antioxidant properties), too much is a real problem. And SURPRISE, #4 is WATER! Fighting Gout The Easy Way, With WATER! So that is the first trick to staying gout-free this holiday season is: GO CRAZY drinking water! People always freak out that they are going to have to pee too much… get over it! Drinking lots of water is one of the easiest ways to lower your blood uric acid! Another easy trick: eat foots that contain a lot of water! Like juicy oranges and peaches, or vegetables like celery, cucumbers, and cabbage. As holiday parties approach, think ahead, and hydrate ahead of time. And be sure to CONTINUE drinking lots of water throughout these events. It will help! Surprise, Hidden Sugar In Carbs Is Working AGAINST YOU! Carbs can be problematic for gout anytime, holidays included. The problem is carbohydrates can spike your insulin and make it harder for your kidneys to excrete the excess uric acid. Plus, carbs = sugar. Sorry, but it’s true. Those potatoes are converting to SUGAR when you eat them. Which is why we crave those high carb foods like potatoes and bread. Because sugar is the most addictive substance on the planet. And again, all this sugar makes it harder for your kidneys to keep your uric acid at a healthy level. Too much uric acid results in an acidic environment… and this triggers gout attacks. Yes, the right carbohydrates CAN be healthy. They are a quick source of energy for our muscles and our brain, they add fiber for good elimination, they help metabolize fats and proteins, and much more. The real problem is understanding what carbs are HEALTHY! These foods are EASY to choose at family meals over the holidays. Eat those instead of the cakes, pies, cookies, and baked breads. The next macro-nutrient that is tricky for gout people during the holidays… and any other time as well… is proteins. #2 – Beans or legumes. Some meats are more problematic than others because they are richer in their purines (which metabolize into uric acid). For example, turkey isn’t as difficult for our body to digest as beef. If you have gout, your body has trouble breaking down, absorbing, and using protein… Of course, you can retrain your body to better handle these proteins (which is what my programs are all about!) but over the holidays, avoid going overboard eating big, protein-rich meals. Approach all those big, juicy, tempting cuts of turkey, brisket, lobster, salmon, etc, with caution. As well as bean dishes like pinto beans, black beans, black-eyed peas, etc. And again, be sure you’re drinking lots of water during these meals, to support your kidneys as they handle the excess uric acid. Healthy Fats You SHOULD Be Eating! The last and most important completely overlooked macro-nutrient is FATS! Fats…the good healthy ones, are essential to managing the condition of gout. Some people totally misunderstand The Keto Diet and think it’s all about eating lots of meat. It’s not– it’s about eating a lot of fats! Like 80% of what is going in your mouth should be fats; a balance of saturated fats, monounsaturated fats, and poly-unsaturated fats. This is where holiday eating becomes more difficult… as well as any other time of year. But this is the helpful part – a gram of good healthy fat has 9 calories, compared to 4 calories in one gram of protein or carbs. So you don’t have to eat as much! And fats are the “slow burning logs” on the fire of long-lasting, all-day energy. Fats aren’t the devil. Choosing the RIGHT kind of fats… HIGH QUALITY fats, that’s what matters. 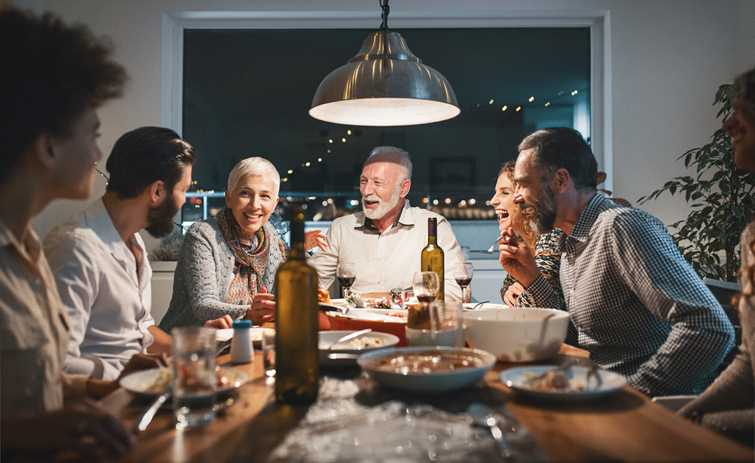 So that’s an introduction to macronutrients and choosing healthier foods that are less likely to trigger gout attacks over the holiday season. 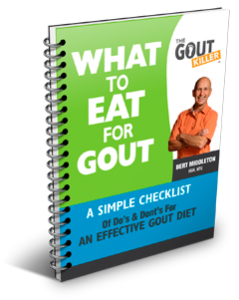 If you’d like to learn more … including more about MICRO-nutrients (not covered here)… and how you can use micro-nutrients to stay gout-free, too, I highly recommend reading my #1 rated guidebook: What To Eat For Gout. It’s a no-fluff, no BS guide to eating that won’t waste your time with filler content. It gets straight down to the knitty gritty of the SAME eating program I use year-round to keep myself feeling fantastic and gout-free, so I have the energy I want to ski, downhill mountain bike, hike with my wife Sharon, play with my nieces and nephews, work a physically demanding job 9-5, 7 days a week, and so much more. Controlling your gout starts with what you’re putting in your body. Be sure you know what you’re doing when choose, for example, to eat a steak versus a bowl of turkey chili. ☆ And happy eating this holiday season! All over the internet it says sardines are bad for gout? ?